Unifi is a well-known wireless solution developed by Ubiquity Networks. It’s widely used due to its efficiency and low cost. Up until some years ago, the vendor offered just a basic set of access points managed by a software controller. Year after year, the number and types of wireless controllers grew to include many specialized types (internal, external, long range, wide coverage, etc. )The software controller has become much more sophisticated and can now control not just Wireless Access Points, but also Security Gateways, LAN Switches and Cameras. The controller collects a lot of interesting information and metrics in its local MongoDB: this data can be accessed via web console. With a centralized monitoring solution like NetEye, it would be great to integrate the metrics collected by the Unifi Network Controller. 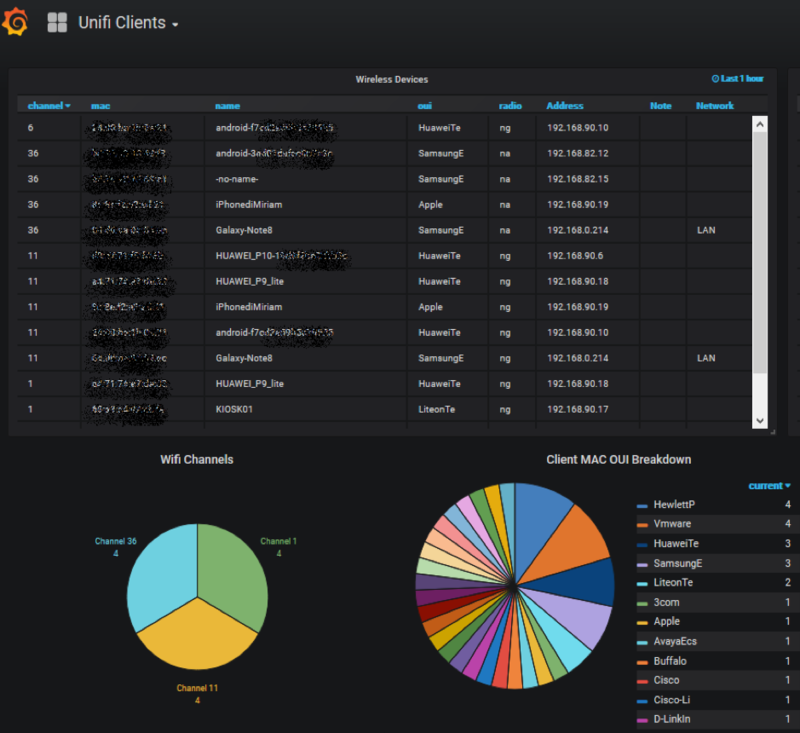 One nice project is available on GitHub: davidnewhall/unifi-poller: it’s an agent which collects your Unifi client and device data and send it to InfluxDB. 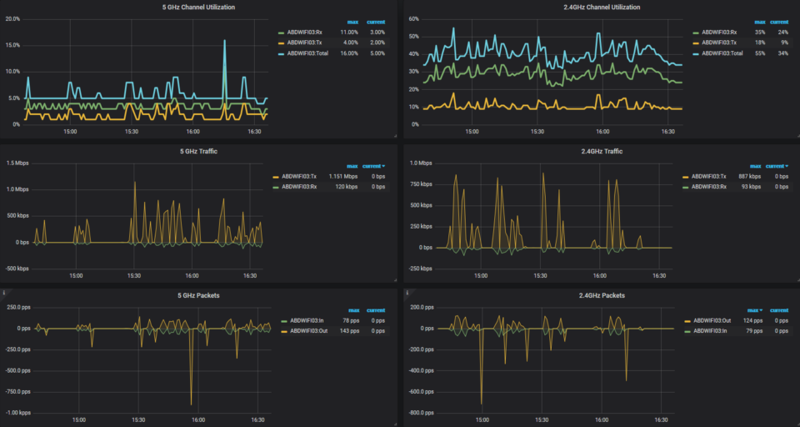 This way, the metrics can be duplicated in NetEye’s InfluxDB, available to build up any Grafana dashboard you can imagine. To build a unifi-poller agent into NetEye, several steps are required. At this point you can change to the unifi-poller local path, and a simple make command will build the executable. The configuration file is self-explanatory: you need to configure the access URL and credentials for the Unifi Network Controller, the polling period and the Influx Database name (the name unifiis recommended). The project doesn’t provide an initdaemon startup script for the unifi-poller: however, I’ve attached an example one to this blog. The last step before starting the unifi-poller daemon is to create a brand-new influx Database! 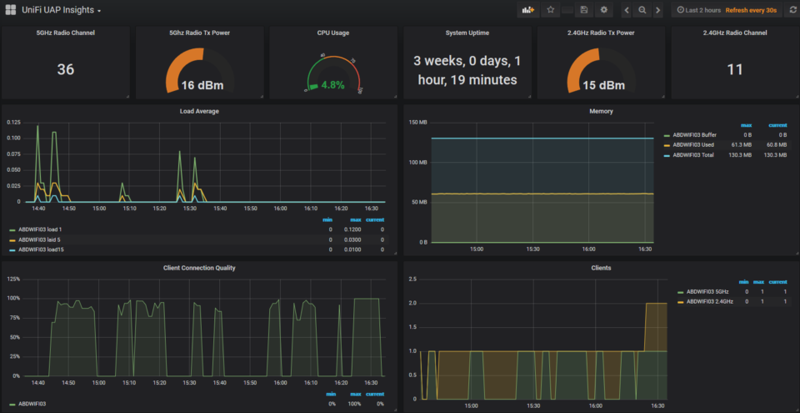 The unifi-poller project provides a few Grafana dashboards that can be directly imported into NetEye. Of course, the Dashboards can be customized and integrated with metrics coming from other systems. A lot of metrics are collected. I urge you to take a deeper look at InfluxDB to find the most interesting ones. 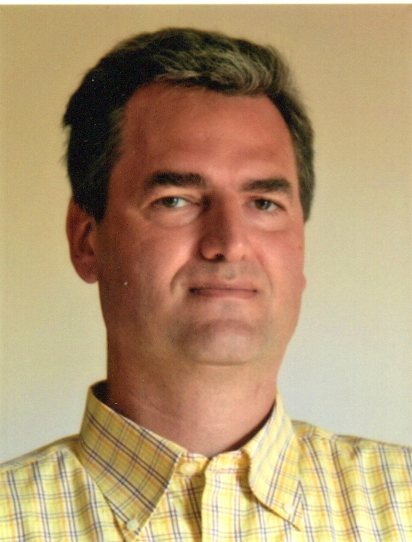 My name is Alessandro and I joined Würth-Phoenix early in 2013. I have over 20 years of experience in the IT sector: For a long time I've worked for a big Italian bank in a very complex environment, managing the software provisioning for all the branch offices. Then I've worked as a system administrator for an international IT provider supporting several big companies in their infrastructures, providing high availability solutions and disaster recovery implementations. I've joined the VMware virtual infrastructure in early stage, since version 2: it was one of the first productive Server Farms in Italy. I always like to study and compare different technologies: I work with Linux, MAC OSX, Windows and VMWare. Since I joined Würth Phoenix, I could also expand my experience on Firewalls, Storage Area Networks, Local Area Networks, designing and implementing complete solutions for our customers. Primarily, I'm a system administrator and solution designer, certified as VMware VCP6 DCV, Microsoft MCP for Windows Server, Hyper-V and System Center Virtual Machine Manager, SQL Server, SharePoint. Besides computers, I also like photography, sport and trekking in the mountains.